Virginia International University’s School of Education welcomes all to join us for the September event in our Voices from the Field speaker series: a presentation entitled “Promoting Student Autonomy.” In this first talk of the Fall semester, our distinguished guest speaker, Dr. Heather Weger, will discuss how authentic, task-based activities can scaffold learning in multi-level classes. How can I individualize activities to provide both sufficient scaffolding and appropriate challenges for students at different levels of ability? How can I ensure that tasks will be stimulating and motivating for all students? Give the myriad demands on my time, how can I do this efficiently? In this session, drawing on principles of student autonomy, authentic materials, and task-based learning, the presenter will outline two media-based projects (one written, one oral) that educators can use to scaffold, challenge, and inspire students toward the development of content-area knowledge, skills, and level-appropriate language use. Dr. Heather Weger is a Senior Instructor for the Center for Language Education and Development at Georgetown University. With a PhD in Applied Linguistics and over 10 years of English teaching experience in the US and abroad, she promotes a task-based, integrated-skills approach to teaching academic English skills for international students. She is passionate about curriculum and assessment design as well as facilitating language teacher education opportunities. 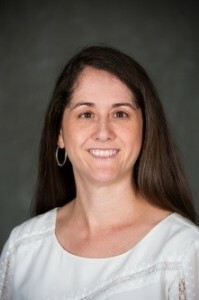 She has combined these passions through her work as a consultant for the Universidad del Norte in Colombia, and by pursuing an active research agenda into individual differences in language acquisition, student motivation in formal classroom settings, and adult learners’ constructions of their identities.